Steve “Silk” Hurley, legendary house music and remix pioneer, artist, producer, songwriter, and DJ, has produced and/or written over 200 records, with at least 50 of them reaching the Billboard® Dance Charts, and dozens reaching the R&B and Pop Charts. Silk lays claim to countless Platinum, Gold, and Silver records, his productions having sold so far in the millions that it is now difficult to count them. He is a 4-Time GRAMMY®-nominated producer, and a progenitor of Chicago “House Music”, becoming one of the first to branch out from that genre and encompass pop and hip-hop within the house framework. Since his early successes collaborating with lead vocalist Keith Nunnally as ‘J.M. Silk’ from 1985 to 1988, creating several #1 records for RCA/BMG Records, he has since worked with hundreds of notable artists including Prince, Madonna, Janet Jackson, Michael Jackson, CeCe Peniston, R. Kelly, and Mary J. Blige. 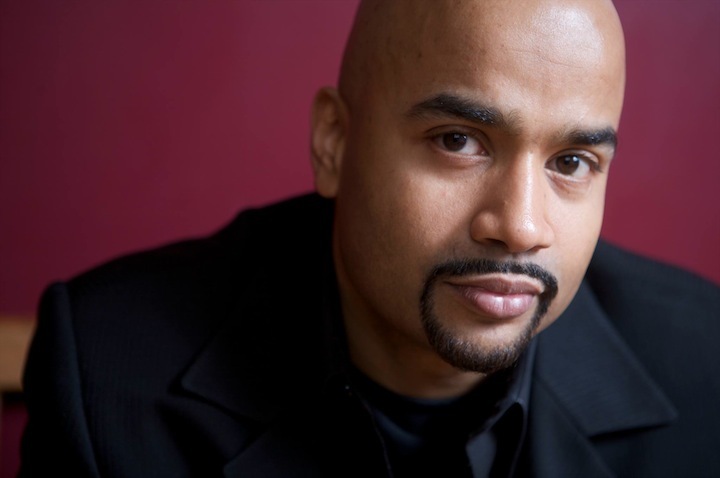 He continues to DJ internationally, and has been featured since 1994 on the nationally-syndicated Tom Joyner Morning Show, which has over 8 million listeners. Hurley has managed to build a reputation as “The Mashup King” with his mixshow segment called “The Old Skool New Skool Remix”, which is featured 5 times weekly. When Silk released “Jack Your Body” in 1986, he was just releasing a record for the fun of it. Who knew it would become one of the biggest selling records in his career, and that it would help to take the Chicago House Music genre to places unforeseen? One of the landmark records in the history of house music, “Jack Your Body” (written and produced by Hurley), in addition to hitting No. 25 on the U.S. Billboard Hot Dance Music / Club Play chart, became a major hit on the UK Singles Chart, reaching #1 for two weeks in January and February 1987. This was the UK’s first house-music chart topper, showing it was possible for house music to cross over. It paved the way for the acid house sound popular there during the late 1980’s. Among the noteworthy dance/pop crossover hits for which Hurley is credited as producer are Jomanda’s “Got a Love for You” (No. 40 Billboard Hot 100 Singles, No. 1 Billboard Dance/Club Play, No. 66 Billboard R&B), Kym Sims‘ “Too Blind to See It” (No. 38 Billboard Hot 100 Singles, No. 5 Billboard Dance/Club Play), Ce Ce Peniston’s “We Got a Love Thang” (No. 20 Billboard Hot 100 Singles, No. 1 Billboard Hot Dance Music/Club Play, No. 38 in US R&B), “Keep On Walkin’ (No. 15 Hot 100, No.1 on US Dance, No.3 on US R&B), “I’m In The Mood” (No. 32 on Hot 100, No.1 in US Dance, No.7 on US R&B), “I’m Not Over You” (No. 41 in Hot 100, No.2 on US Dance, No.10 in US R&B), “He Loves Me 2” (No.24 in US Dance), and Clubland featuring Zemya Hamilton’s “Hold on Tighter to Love” (No. 79 Billboard Hot 100 Singles, No. 1 Billboard Dance/Club Play). Silk is regarded as the first remixer to incorporate the new style of remixing that exists today, in which a totally new composition is created over an acappella, rather than the original style of remixing where the original composition is retained and new percussion and music parts are created. His hundreds of remixes and productions yielded at least 50 hits on Billboard® Dance Charts, re-working tracks for the likes of Madonna (“Take a Bow”); Michael Jackson (“Jam”, “Remember The Time”); Debbie Gibson (“We Could Be Together”); Jennifer Lopez (“Aint it Funny”); Bananarama (“Tripping on Your Love”); Brandy (“What About Us”); En Vogue (“Strange”); CeCe Peniston (“We Got a Love Thang”, “Keep On Walkin'”, “I’m In The Mood”, “Searchin'”, “I’m Not Over You”, “Nobody Else”, “He Loves Me 2” and “My Boo”); Dannii Minogue (“Baby Love”); New Order (“Fine Time”); Taylor Dayne (“I’ll Wait”); Diana Ross (“You’re Gonna Love It”); Crystal Waters (“Makin’ Happy”); Prince (“Gett Off”); Black Box (“Fantasy,” “I Don’t Know Anybody Else”); and the Party, which was a band composed of five Mickey Mouse Club cast members (“Free”); Simply Red’s Something Got Me Started. One of Hurley’s notable early remixes was a transformation of Roberta Flack’s 1989 song “Uh-Uh, Ooh-Ooh, Look Out (Here It Comes)” that took the soft ballad into the house-music realm by removing all but the vocal from the track and substituting a minimalist set of house-styled percussion tracks. In 2005, Silk joined forces with fellow international DJ, Shannon “DJ Skip” Syas, to form dance label S&S Records, becoming the home to numerous house music legends. The label has released several compilation albums featuring original songs from a large roster of Chicago greats, including the recently released “The Chicago LP”, a double DVD/double CD featuring an all-Chicago, all-Star cast of house music pioneers and Hip Hop stars. 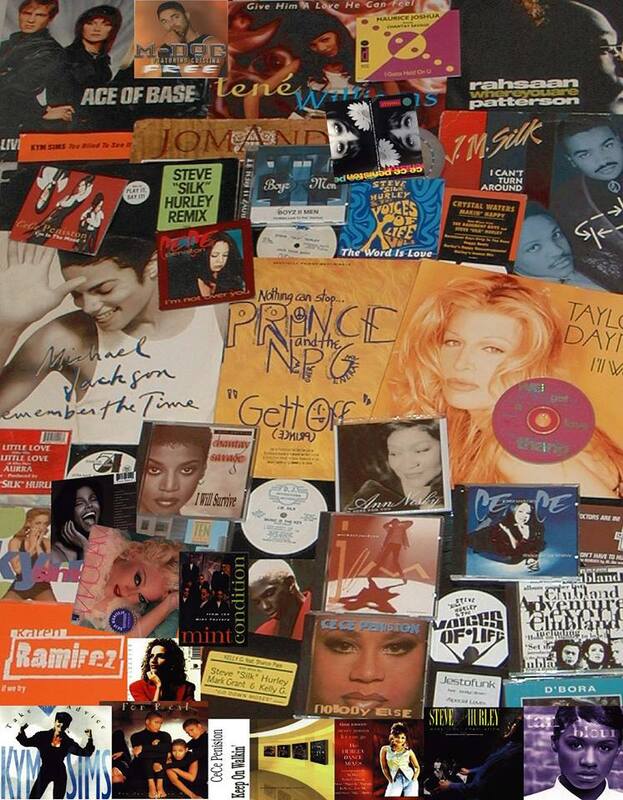 S&S Records has a catalog of over 500 records and album projects from artists such as: Syleena Johnson, CeCe Peniston, Ann Nesby, Fast Eddie, DJ Skip, and Paul Johnson, just to name a few. S&S has also been responsible for major house music events in Chicago that have averaged an attendance of over 4,000 people. In addition to all of these accomplishments, Silk has always given back by moderating and /or speaking at countless panels and at schools across the country. He has also served the GRAMMY® Organization, NARAS, for years. He was the Chicago Chapter President from 2004-2005, National Trustee from 2000-2004, and was an instructor for the GRAMMY CAMP® in 2006.